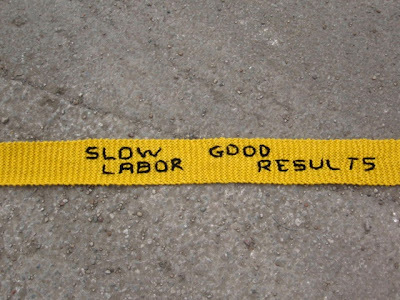 I've posted before about my interest in knitted art. 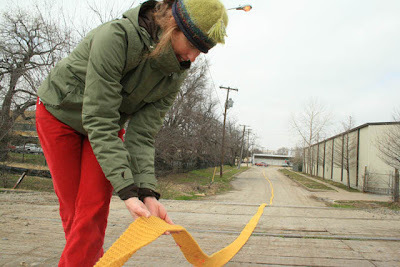 I just came across the blog that Robyn writes so her work is new to me. You can find her site, blog and more work here. You can see the title of the work in the next picture. 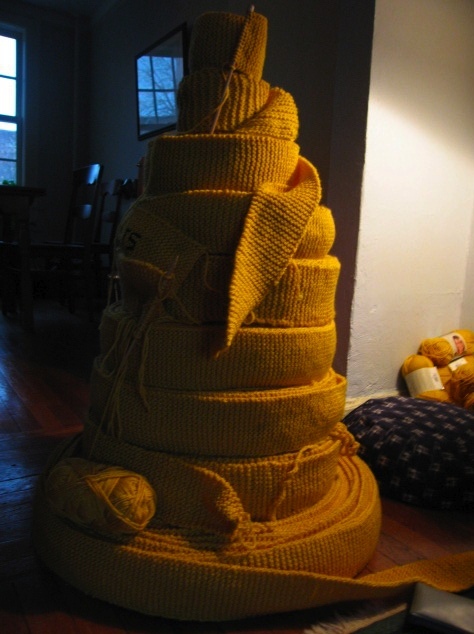 Ninety Knitters helped to produce this piece. 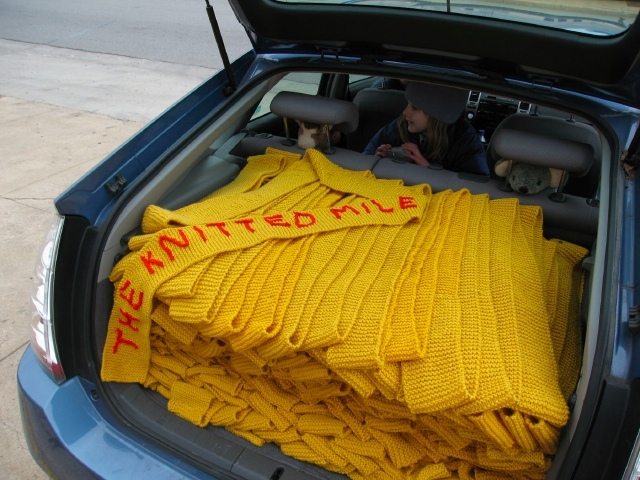 I bet I've knit a lot more than that!